The Berkeley Psychic Institute adds a prediction party into the clairvoyant class. It’s a fun and interesting way to look at the future clairvoyantly. As most know, BPI is known for teaching free will and future creating. On The Déjà vu Hotline the BPI graduate readers are challenged often with the question of “What’s in my future?” or “What’s the outcome of my situation?” The answer is often….”It depends on you” Nobody likes this answer of course. At the prediction party everyone is in a space of having fun and using the psychic tools they are taught to look at the energy of the future knowing it’s changeable. This makes is a lot less serious. 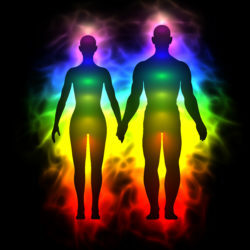 Most of the topics we look at have already built up a momentum of energy and has started to manifest. When a person is looking at their own personal situation, it can be very changeable because all the person has to do is change their mind. Once the clairvoyant says what they see, if the person doesn’t like that outcome, they change their mind and energy about the situation, therefor the situation changes. People get caught up in playing prove it with the psychic. That’s a competition energy that blocks the spirit. The reader can’t see the spirit with that vibration in their face. It’s like a mean person telling someone to be nice to them. The two vibrations clash, not work together. The funny thing about a psychic doing a future reading is that it rarely comes true because when the psychic tells the person how they see the energy and what that energy is manifesting into, the person starts to immediately change their mind about it or change the energy by realizing that’s not the outcome they want. The clairvoyant is looking at energy and pictures (mental images). Don’t go into a prove it game trying to determine if the clairvoyant is right or wrong. They see what they see. Learn from it so you can change it.